If you are a large scale modeler and an enthusiast of the secret weapons of the Luftwaffe or just part of the 1946 “what If” crowd, the last few years have been very exciting times. 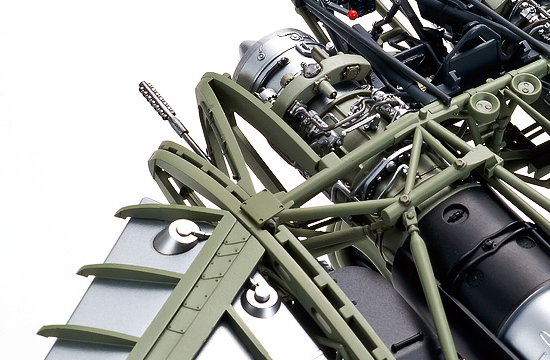 Releases like the 1/32 J7W1 Shinden by Super Wing Series (SWS), 1/32 Gloster Meteor F.4 by HK Models, the 1/32 Messerschmitt Me.163 by Meng, just to mention a few, are interesting introductions to the large scale plane collection. 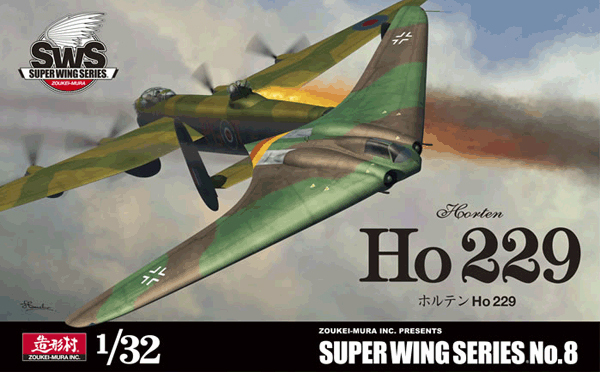 Now comes a new release of the much anticipated 1/32 Horton Ho 229 by Zoukei-Mura (SWS). It promises to be a very challenging yet very rewarding build of one of the most exotic and intriguing aircraft to come out of World War II. 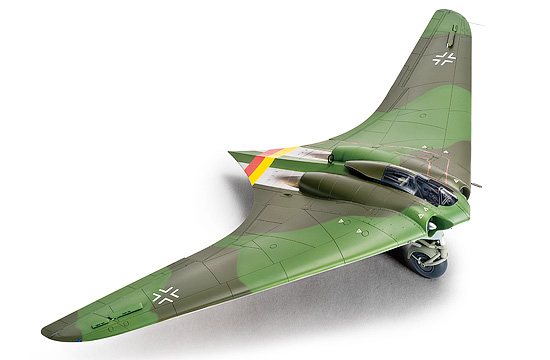 The Ho 229 was an aircraft unlike anything else designed and built up to that time. This aircraft consisted of an all wing design with no vertical surfaces or tail. Buried into its structure would be two turbo jet engines with a cockpit nestled in between them, in the front-center section of the aircraft. 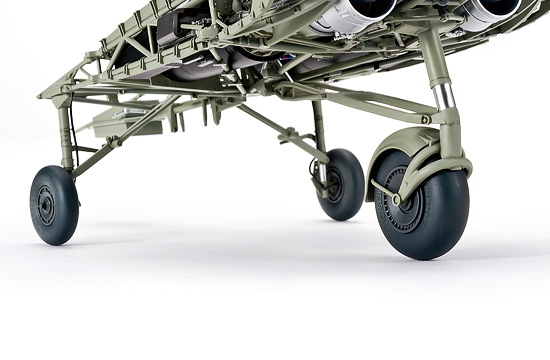 With its landing gears retracting into the main body, this design had a very clean aerodynamic advantage over traditional aircrafts of its time. 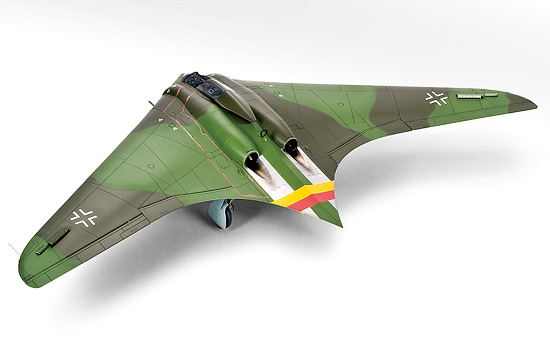 The new Zoukei-Mura’s Ho 229 kit is the first ever injection plastic model of this aircraft. 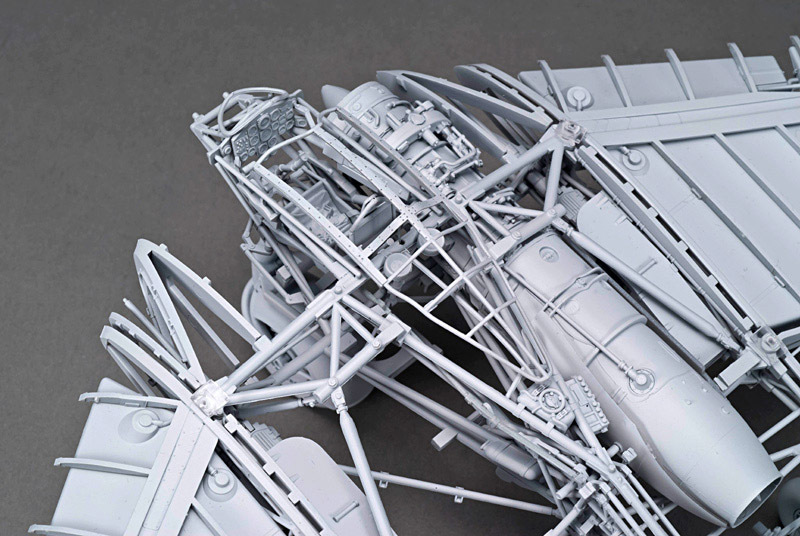 This kit consists of 289 number of parts molded in gray and clear plastic. It also includes Instructions, canopy mask, and a good set of decals. Zoukei-mura promises this build to be an "adventurous journey" of sorts. I have been working on this kit, on and off, for three months. 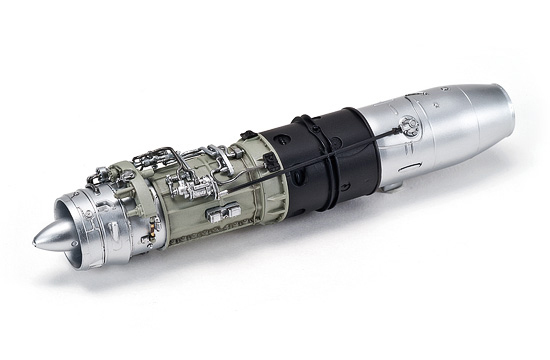 Some assemblies are complicated but the instructions seem to go out of their way to show and explain, in detail, on how to assemble it. Also, the added information on different components, peppered throughout the instructions, is a nice touch. Though this kit is challenging, it is also rewarding. I would definitely recommend this kit. There is also supplementing material available from Zoukei-mura - Concept Notes SWS No.7 Ho 229, that you can purchase separately. Zoukei-mura promises this build to be an "adventurous journey" of sorts. I have been working on this kit, on and off, for three months. 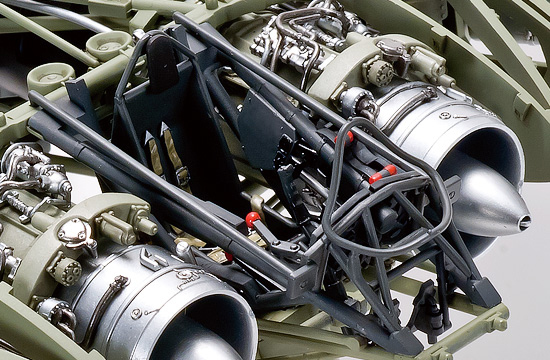 Some assemblies are complicated but the instructions seem to go out of their way to show and explain, in detail, on how to assemble it. Also, the added information on different components, peppered throughout the instructions, is a nice touch. Though this kit is challenging, it is also rewarding. I would definitely recommend it.